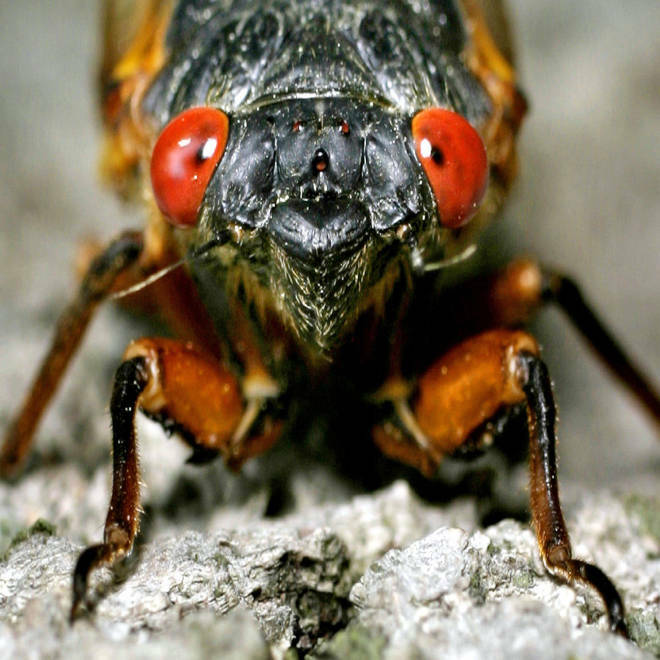 An interactive map provided by Magicicada.org shows this spring's cicada sightings. 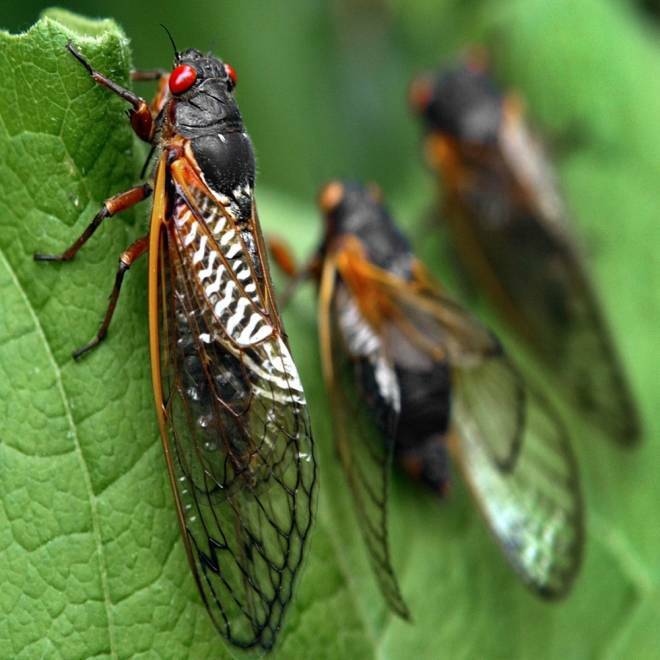 Red-eyed cicadas cluster on leaves in Annandale, VA., during the Brood X emergence of 2004. Like Brood II, Brood X comes out every 17 years - but the timing of the cycle is different. Alan Boyle is NBCNews.com's science editor. Connect with the Cosmic Log community by "liking" NBC News Science's Facebook page, following @b0yle on Twitter and adding the Cosmic Log page to your Google+ presence. To keep up with Cosmic Log as well as NBCNews.com's other stories about science and space, sign up for the Tech & Science newsletter, delivered to your email in-box every weekday. You can also check out "The Case for Pluto," my book about the controversial dwarf planet and the search for new worlds.